On the Lunar New Year Eve 2013 I found myself exploring the inside of a Tibetan Buddhist temple near Vancouver, BC. The first-time for me. I was encouraged by a priest preparing for a service to take pictures. I was attracted to these color swirls on a prominent drum. 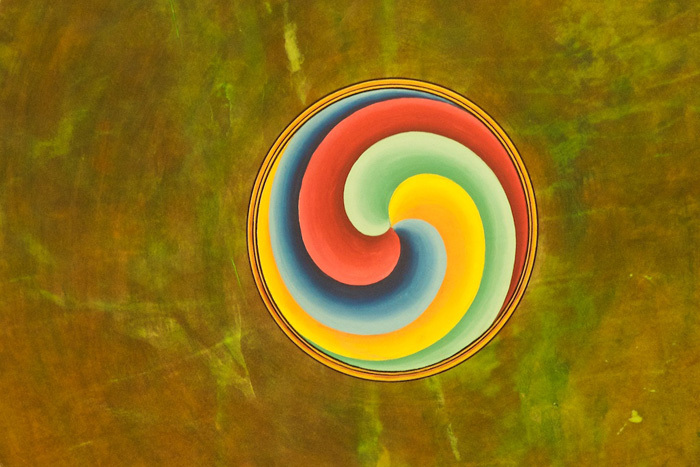 Each of these colors has transforming meaning in the Buddhist tradition.